A practical must-have accessory for all 5th Generation Chevy Camaros. 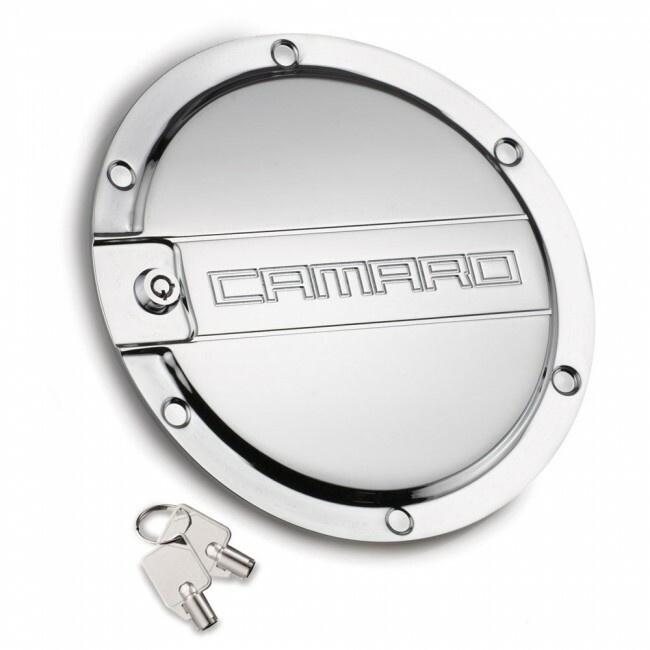 Manufactured from the finest 6061 Billet Aluminum and chrome plated to GM standards. Exclusive features include rubber stops inside to keep things quiet and high quality lock for security. Two keys are included. 4 year limited manufacturer's warranty.